1. Keep it simple to start. Cover the basics by doing what you say you’re going to do. Nothing harms a relationship more than not delivering on your basic promise. 2. Show customers you care by keeping up with their changing priorities. This includes reading earnings call transcripts if they’re a public company, following interviews that key corporate leaders give to the press, and staying current on executive changes and major initiatives. 3. Continually add value by offering new and relevant information and solutions that support their changing priorities. Stay up on what their competition is up to, what potential legislation is swirling around that could impact their business, and the latest developments in their sector. Be your counterparts’ sounding board and even their source of new ideas to help them reach their goals and improve their standing in their organization. 4. Continually educate your entire team. You must continually educate your entire team, especially those who will come into contact with the customer at any level, on all the issues mentioned above as well as your own company’s strategy regarding this particular client. Inspire them to be experts on the customer and the industry. 5. Advocate for your customer. Fight internally to get them your best resources and talent, to meet deadlines, and to keep budgets intact. 6. Designate one or more executive sponsors. 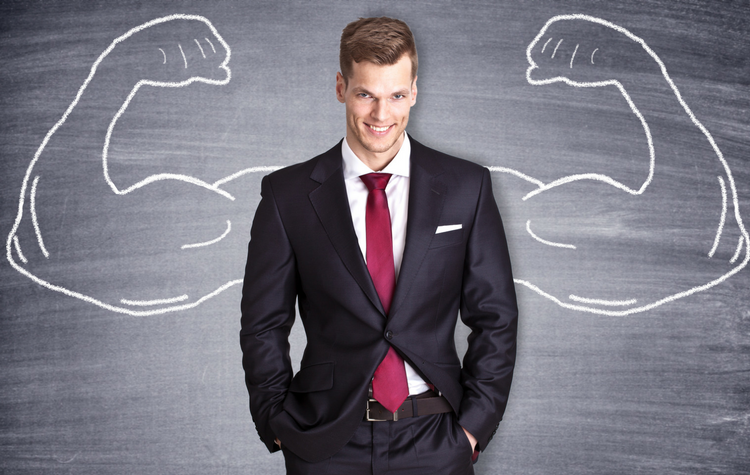 By enlisting high-level executives at your company to be your go-to and advocate for your customer, that customer gets the best you have to offer. And you have someone higher up who can further the relationship with periodic calls to his or her peer at the customer company, attend important customer meetings or executive briefings, and, importantly, step in if there are any issues. 7. Map out in-person touchpoints throughout the year—well in advance. Make sure your customer gets invited to key events designed to get them face time with your company’s executives and top talent—and give them the VIP treatment. The key here is advance planning. Given how busy these executives are, last-minute invitations that aren’t well thought out are useless. Yes, that initial 'yes' is a cause for celebration. But your real success is building on it in the years ahead to keep the 'yeses' coming. 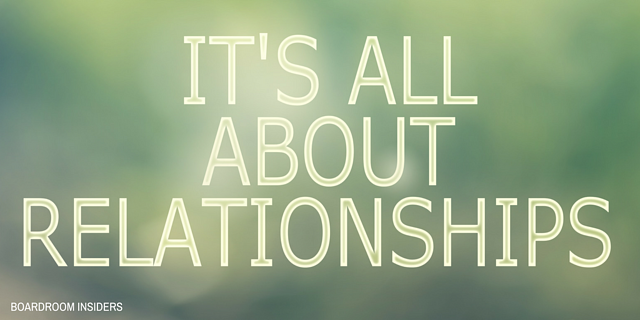 That’s a relationship your team must commit to nurturing. For deeper insights into what your customers are thinking, take a look at our executive profiles. 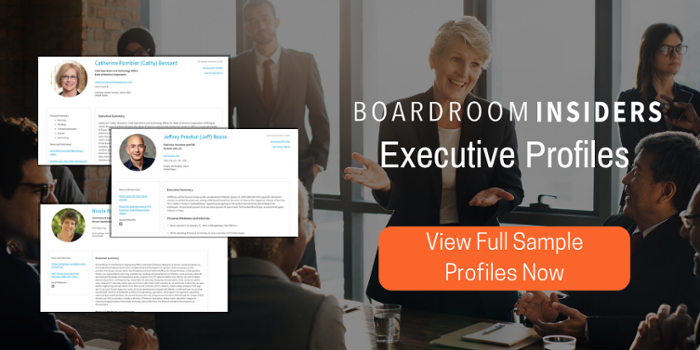 We have the most in-depth profiles on Fortune 500 executives and more! To see what true executive insight looks like, take a look at our free sample profiles.